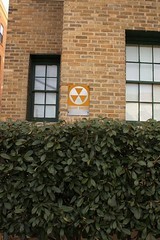 Our next fallout shelter hunt will be this Sunday, March 20. We will meet at 2pm at Dangerously Delicious Pies on H Street (1339 H St. NE). We’ll cover the H Street Corridor and surrounding area and hopefully head south towards the Capitol. The sugar rush (from the pie, of course) coupled with the anticipation of discovering some Cold War history is sure to make for a great afternoon. Adam and I shouldn’t be hard to spot. We’ll be the twenty-somethings hunched over maps and chowing down on pie. Just so no one can miss us, I will be wearing my bright pink sunglasses. 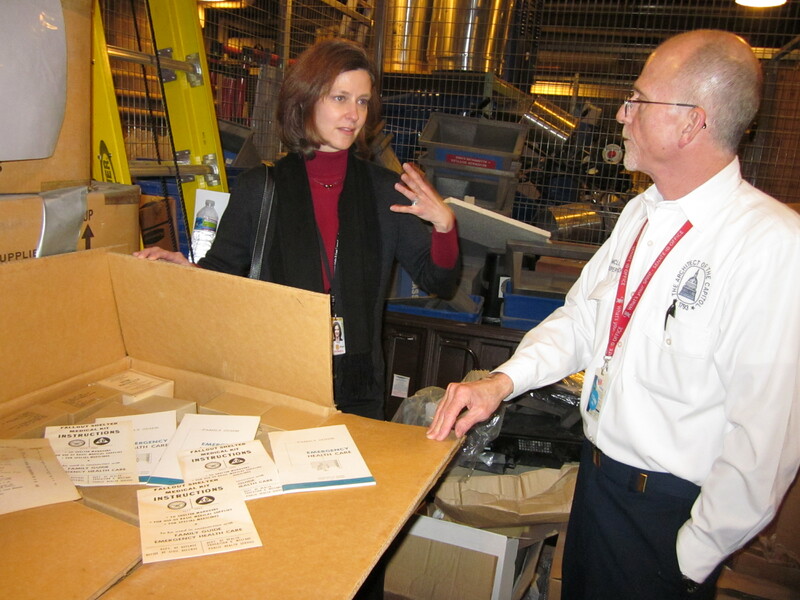 Heather Moore and Dave McCloud showed us the cache of old medical kits. 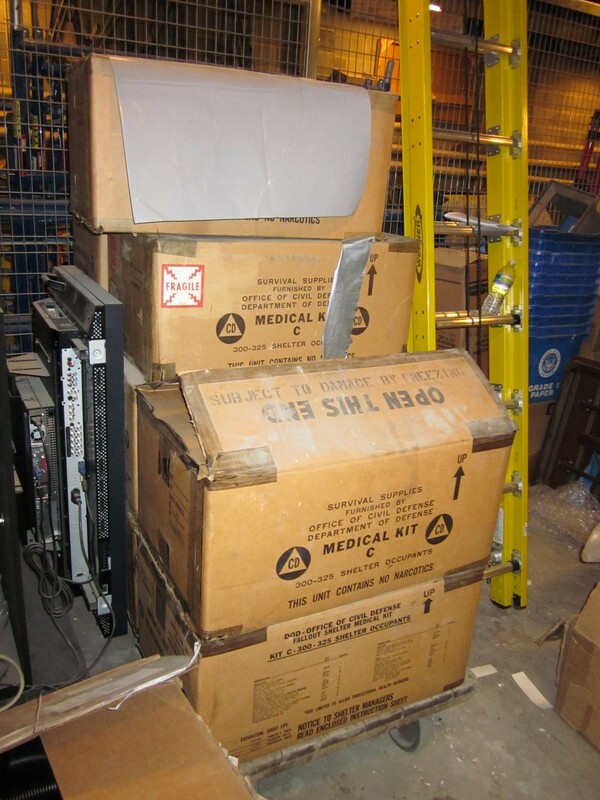 Heather Moore, Photo Historian at the U.S. Senate Historical Office, contacted us about a huge cache of Cold War era medical kits she discovered in the attic of the Russell Senate Office Building. The medical kits–housed in large boxes–were loaded onto carts and about to be thrown out when she rescued them from destruction. Facilities guru Dave McCloud escorted us into the bowels of the building to see the kits. 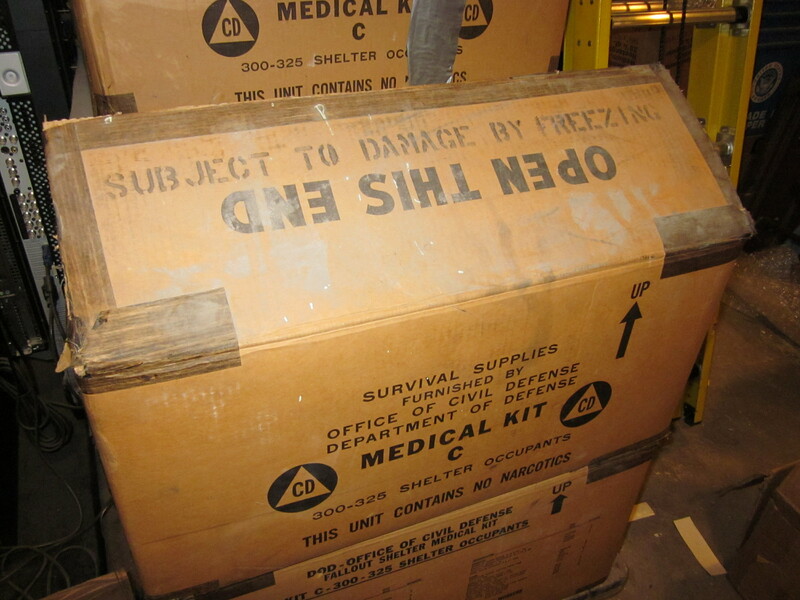 Stored in dusty boxes marked with the CD logo and labeled “Survival Supplies Furnished by Office of Civil Defense, Department of Defense,” the contents of the medical kits had not been disturbed for fifty years. Packed like a puzzle, the contents of the kits include a variety of medications, bandages, sanitary pads, soap, forceps, thermometers, syringes, and much more. The medication bottles had expiration dates from the mid-1960s. 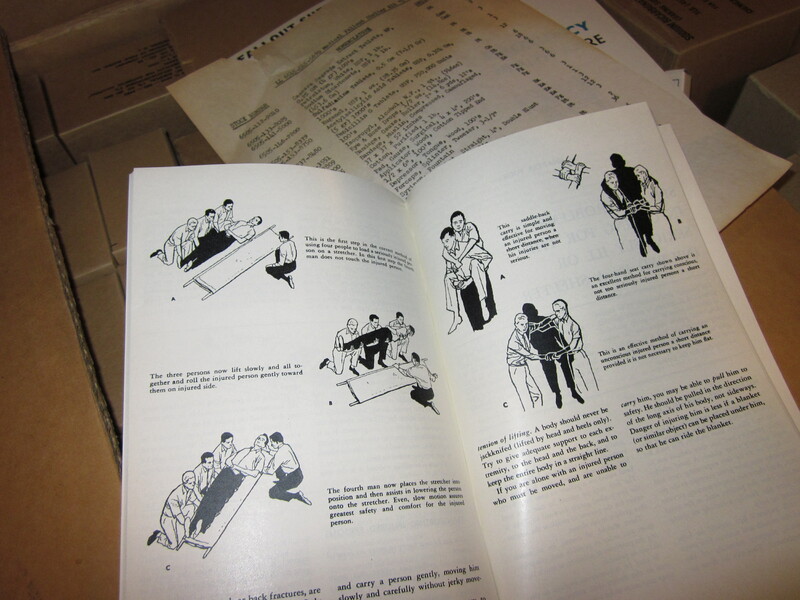 The kits also contain manuals, one called the “Family Guide for Emergency Healthcare.” In the event of nuclear attack, lawmakers and their staff would have had to get by with these supplies (presuming that anyone survived, of course). A small sampling of the variety of supplies contained in the kit. 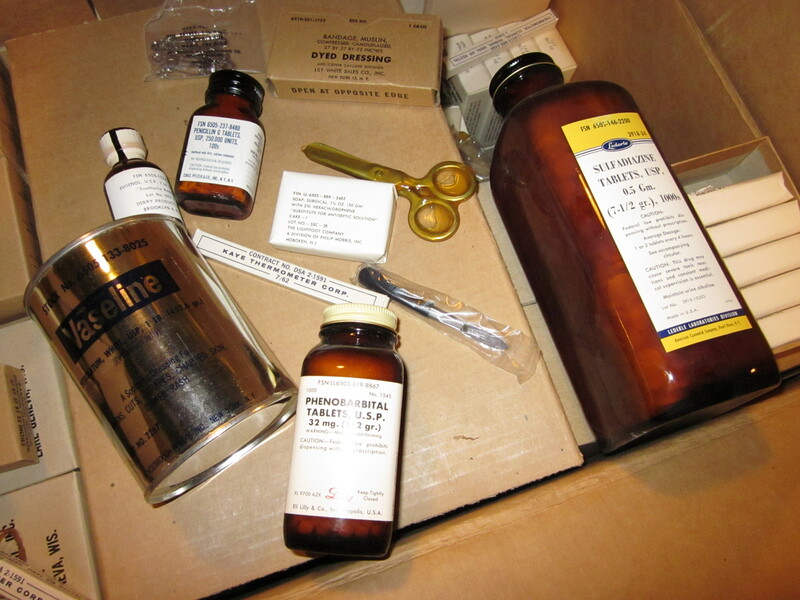 Although “This Unit Contains No Narcotics” is prominently written on all of the boxes, one of the first bottles I pulled out of the box was phenobarbital, a powerful sedative. The drug also wasn’t on the packing list, all measures presumably to deter thieving junkies. Illustrations from a manual contained in the kit. The medical kits are being offered free of charge to nonprofit museums and organizations. Contact districtfallout@gmail.com for more information. One a fraction of the kits discovered. Many have already been scooped up by museums, including the Smithsonian. This sign in the U.S. Capitol is located near the empty tomb in the bowels of the building, near the hall where the President walks out for inauguration ceremonies. Unfortunately, folks we talked to in the capitol complex said many shelter signs were once posted on the interior, but almost all have been taken down in the past ten or twenty years. Heather led the way to a corner of the lower level of the Capitol building, where one of two known remaining interior signs remain. Heather emailed us again with a new discovery: Civil Defense water barrels. Stay tuned for more updates. Check out these fallout shelter supplies discovered in a DC apartment building about to be renovated. 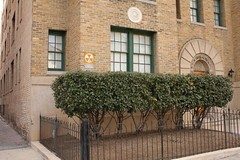 We were contacted by the architect responsible for the renovations. 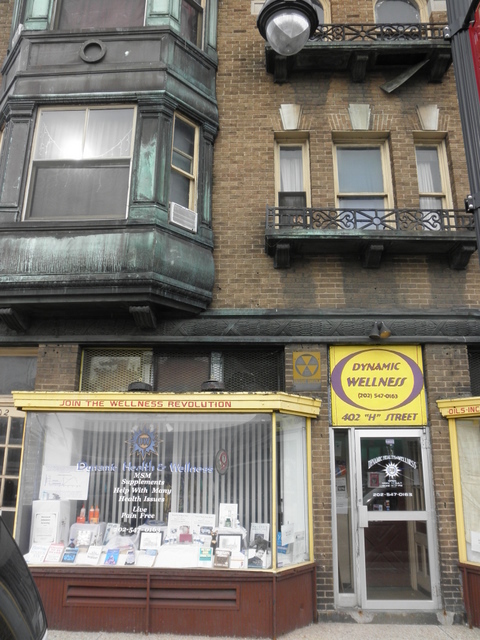 Hopefully we can convince the property owner to preserve the exterior signs and find homes for the intact supplies. More details forthcoming. We discussed a number of ideas for future plans on Sunday, one of which is a DC library exhibit featuring original CD fallout shelter supplies. Speaking of which, check out our blog in a few days for updates on exciting finds in the Capitol complex! Our next meeting is tentatively scheduled for the afternoon Sunday, March 6. Stay tuned for details and feel free to contact us with your suggestions! 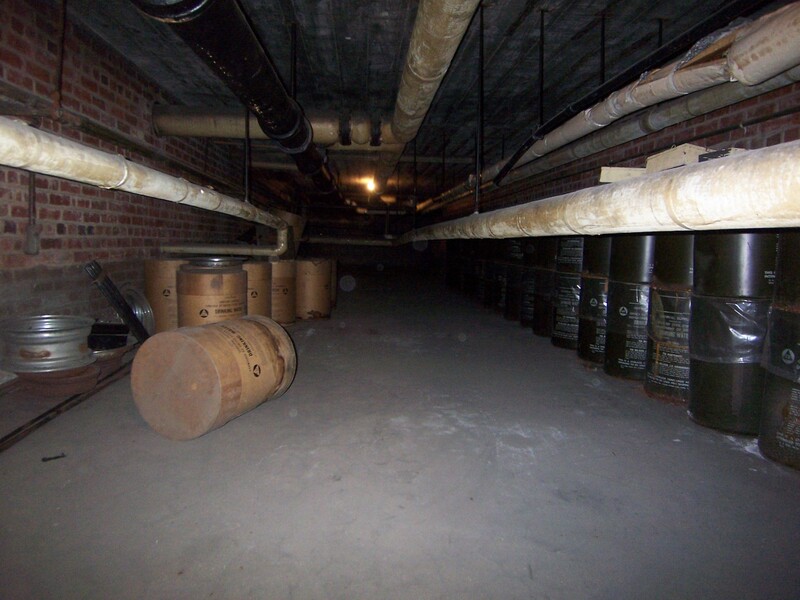 Starting Sunday, February 13 and continuing through the spring, we’re going to host weekend walking (and driving) excursions to locate remaining fallout shelter signs and, who knows, maybe even an intact shelter. 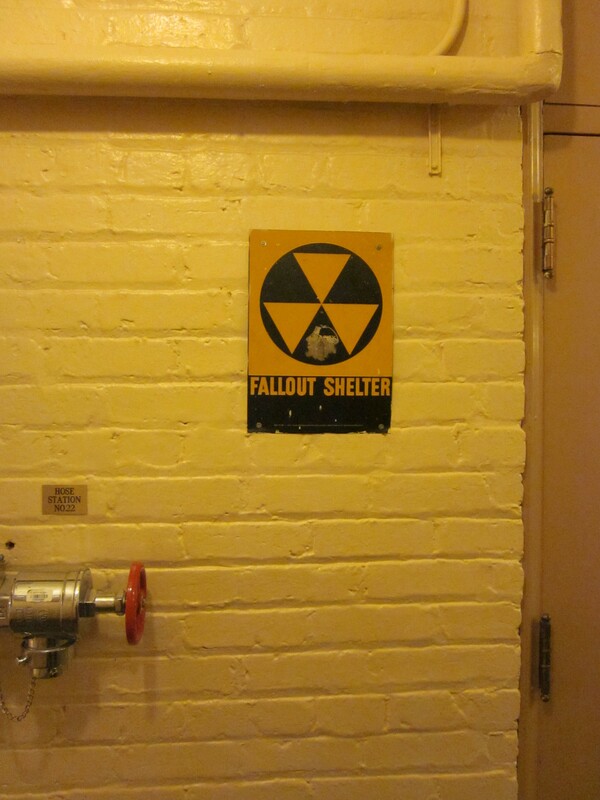 Other trips will include a visit to a local house museum’s fallout shelter, local Cold War history events, and more. We’d also love to hear your ideas for other things we could do. 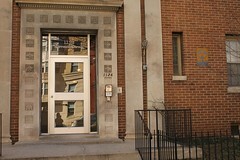 For our first group expedition, we will start in the U street area and work our way southwest towards Dupont Circle. Not only will you contribute to an interesting project, but you’ll discover new places in the city, learn some Cold War history, and hopefully make a few new friends! We’ve found this is a great excuse to explore corners of Washington we would never have visited otherwise. WHO: Adam, Melissa, and you! Please invite anyone else you’d like. PS: If you can’t make it, but would like to get on our email list, email districtfallout@gmail.com.